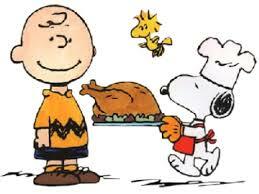 Happy Thanksgiving to you all! On this day, I am thankful for family, friends, laughter, tears and memories. I am thankful that we live in a country where we are able to bear arms and hunt for food to provide for our families. I am very thankful to all of those who serve and protect those rights! Turkey and ham are in the oven but so is the venison!! Here is a recipe for the venison manhattans that we are planning to enjoy today! I hope you all have a blessed Thanksgiving Day! For frozen meat, I use four packets (about four pounds of meat). I place it in my cast iron roaster and cover it with water, two cans of beef broth, salt and pepper, four dashes of thyme (about one teaspoon), and one large bay leaf or two smaller ones (remember this step and remember to take them out, my kids hate it when they get one in their plate). Place in the oven, preheated to 375 degrees for three to four hours until the meat is falling apart. Drain the meat and save the juices. In a saucepan on the stove, melt a stick of salted butter (I always use real butter). When the butter is melted, add enough flour(all purpose is best for gravies but self rising will work in a pinch) to form a paste. Then add the juices you saved from the meat and whisk briskly. Bring to a boil then remove from heat. If it seems a little thick, add some water or beef broth to thin it. Now add the meat to a large bowl and pour the gravy on top of it. Stir together. Place bread on a plate, cover with mashed potatoes and smother with meat and gravy. Then dig in! This entry was posted in Uncategorized and tagged family, friends, ham, Happy, hunting, laughter, manhattan, mashed potatoes, memories, military, oven, recipe, tears, thanksgiving, turkey. Bookmark the permalink.